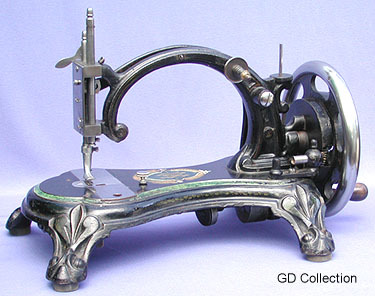 Antique sewing machine - Little Howe (2). Sporting the Howe Sewing Machine Company trademark, this particular 19th century lockstitch model can be considered rather scarce today. The machine was produced for a relatively short period, and in essence was an improved successor to the similar Swiftsure.